I want to try the AHA sadly even though my bumps and big pimple have subsided I have these hyperpigmentation marks or some type of acne marks there are deep but pin needle size but alot of them. I think i made need to lighten them. I feel better that i use less foundation but itd be nice not to hide behind makeup anymore. Sturggling but making progress. YES! I do but right now money is tight so i cant afford dans. Any recommendations? 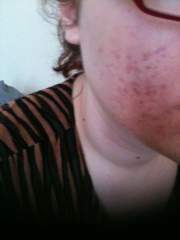 Okay so ive been on dans regimen for a month now my skin has been up and down, bu ha had some improvement. 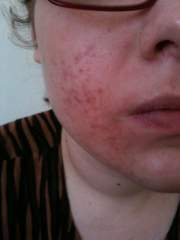 But i have faint scarring or some pigmentation what can i add to the regimen that will help scarring or pigmentation issues? Im fair skin so i have little pink spots like needle sized and some a little bigger im not sure why these randomly show up even tho i dont pick or had any pimple where they show up is this pigmentation? Any advice is appreciated. 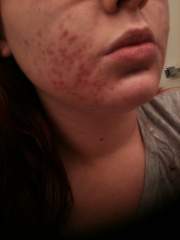 I barely just started the regimen and i to have had some big cystic like bump around my My mouth and forehead which is not usually where i breakout but i noticed they subsided and dried out quicker once i used the regimen again. 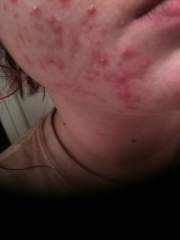 I hope i dont breakout more! 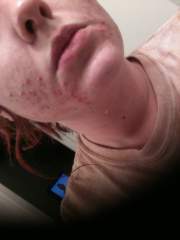 Especially around my mouth but from what i hear it takes 3-4 months results and your skin to adjust to the regimen. Wishing luck that the breakouts stop! Thanks! I plan on using all the product before giving up! Well i use it all over, but my forehead has been breaking out the last two days and my forehead is the clearest part of my face. My main areas are my jawline and cheeks also but i have hope that dans regimen can work for me. 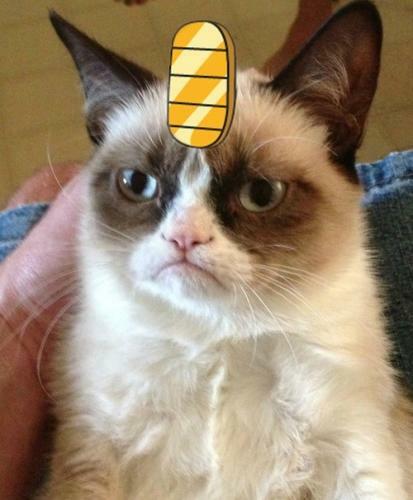 But now i might avoid putting it on my forehead. Thanks for the support! Thanks yeah tonight was my first attempt i made sure to use a pea size amount. I will keep updating! Itll help me stay on track. I Need Help, I'm Literally Lost. Wow thanks for all the advice especially the poster above, yeah my skin is literally haunting me and my self esteem is low. Finding a job is hard when i feel people are judging my skin. Its a journey im really trying to find what works for me. Im really thinking of trying the regimen im near desperate. 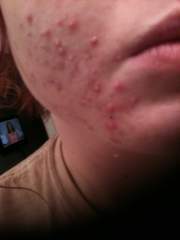 Combination Horomonal Acne. Confused And Lost. Good Foundation For Acne/acne Prone Skin? I use almay's blemish control. 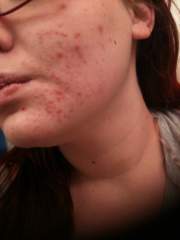 As for helping my skin im unsure but for coverage its amazing. Its non comedogenic and super cheap I got mine for 6 bucks.